1) DO NOT LEAVE THE SCENE until after you have been told you may do so by responding authorities. No matter how serious or how minor the accident, it is important to wait for the police or highway patrol to arrive. Not only will you need a police report for any insurance claim, but it is a crime to leave the scene of an accident. In certain cases it is even a felony. If you need medical attention, wait for the emergency responders; they can best attend to your medical needs. 2) DO NOT LOSE YOUR TEMPER. Even the most mild-mannered individuals can be provoked to outbursts when an accident occurs. After a traumatic event like a car crash, your body floods with adrenaline, initiating your body's natural fight-or-flight response. Try to remember to take a deep breath, count to 10, or do whatever it takes to regain your composure. The last thing you want to do is make it appear that you are (or were) not in control of your emotions. You do not want to provide the other party with fuel or provocation to bring a lawsuit against you. 3) DO NOT APOLOGIZE. This is a difficult one for Minnesota nice. While it is fine to show concern and ask if the other driver or passengers are okay, do not apologize. This is the flipside of losing your cool. Any apology could be seen as admitting that you were at fault. Even if you feel you were, you should always speak to your attorney rather than the other party. Be polite and considerate, but do not be apologetic. 4) DO NOT SPEAK TO THE OTHER DRIVER'S ATTORNEY OR INSURANCE COMPANY. Statements you make can eventually be used as evidence. The best way to proceed is to contact an attorney who is experienced in Minnesota car accident cases. Then let the attorney handle this communication, or at least advise you on how to proceed. 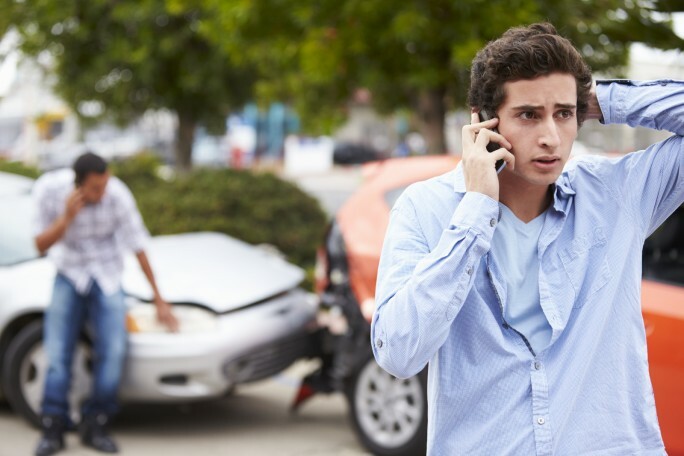 If you are contacted by the other driver's attorney or insurance company, take a name and phone number and tell them you will get back to them. The same holds true for speaking to your own insurance company; get legal counsel first. Once you make a statement, it is hard to take it back. In case of a vehicle accident, you have certain rights, but statements you make without legal counsel could negatively impact your rights. 5) DO NOT TAKE THE INSURANCE COMPANY'S FIRST SETTLEMENT OFFER. You may be tempted to take the first check offerred by the insurance company and move on with your life, but remember that the insurance company wants to settle the claim for as little as possible, so they will initially offer you a minimal amount. If you were injured it is especially important to wait and see whether you may have any additional medical expenses or ongoing treatment needs that you are unaware of right away. I understand that sometimes being injured in a car accident puts people in financially difficult situations; you may miss work or have mounting medical bills. But, you are most likely entitled to far more compensation than you will be offered initially by the insurance company. Our Minnesota car injury attorneys can help you evaluate whether a settlement offer is fair. If you or a loved one have been injured in a car accident, our personal injury attorneys are ready to fight for you to get you the compensation you deserve. At Lord +Heinlein, we are your powerful legal voice.